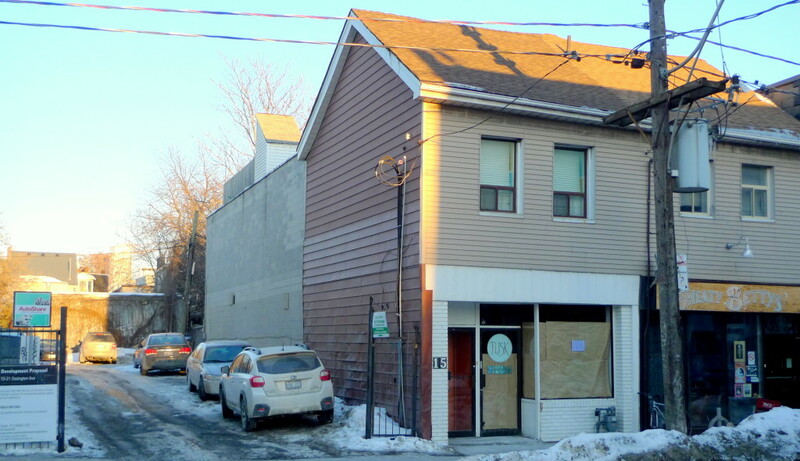 2 Storey, commercial-residential building w/ half basement. Main Floor – retail ( vacant possession w/ 3 months notice). Second Floor – 2 bedroom apartment with 2 kitchens & 2 full baths & roof top deck – previously used as 2 separate apartments (current tenant month to month). Prime location just north of Queen West on Ossington Ave.
West Queen West was voted ‘The 2nd Coolest Neighbourhood in the World’ by Vogue Magazine and was recently featured the New York Times. Building Size: 2,522 sq. ft. above grade, plus bsmt. 1,261 sf. main floor, 1,261 sf. 2nd floor.